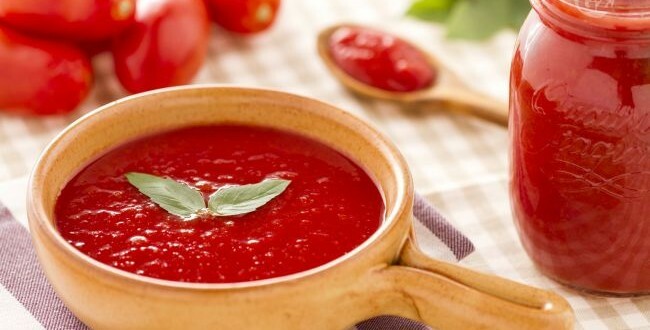 Many recipes call for Tomato Puree. It is expensive if we bought from shop. This is really easy to make then why not make it at home? You do not need any other ingredient for making it except tomatoes. Wash the tomatoes and boil them. Remove the skin and deseed tomatoes then blend in a puree. Otherwise first blend to tomatoes then remove seeds with strainer. Shift in a cooking pan and cook until thick. Stir to avoid sticking with pan. Allow to cool and shift in a bottle. If you want to freeze puree then spoon puree in ice cube tray and freeze. Use when you want.